Though headquartered in Europe, BIC is one of America's leading consumer brands and takes great pride in manufacturing many of its products in the States, including 1.2 million pocket lighters per day. With new labeling touting products made, designed or packaged in the U.S.A., the company needed a web resource to provide detail and support the statements. We helped BIC do one better. 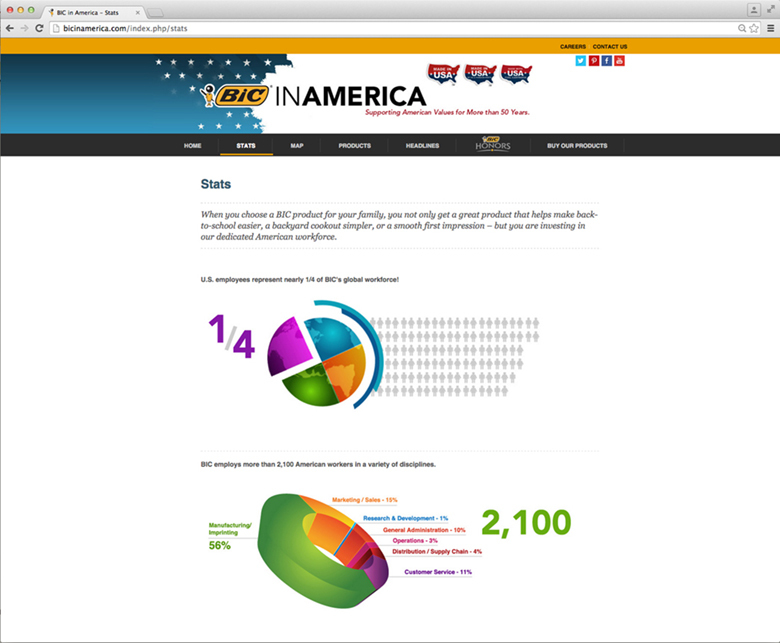 Launching “BIC in America,” we turned a corporate responsibility into a powerful asset. 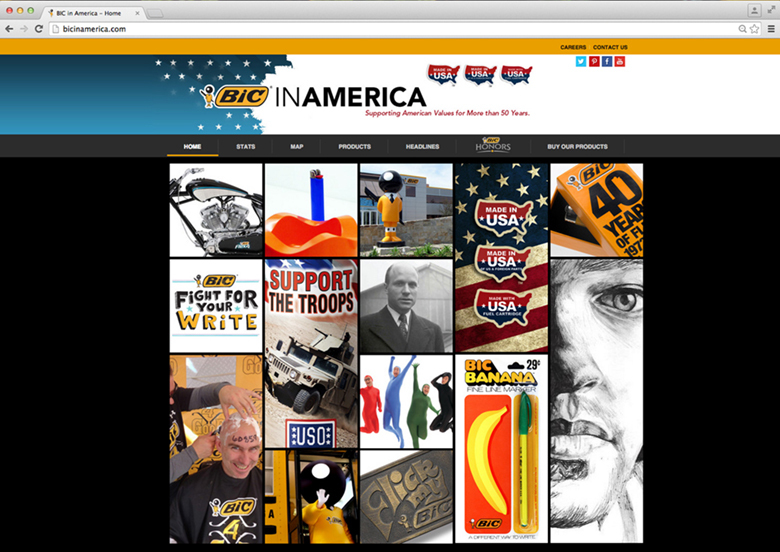 The site not only documents BIC's current presence in America, it celebrates its rich history here, including notable contributions to pop culture, manufacturing, the arts and, most importantly, numerous charitable organizations.